When two maize inbred lines are crossed with each other, an interesting effect occurs: The hybrid offspring have a significantly higher yield than either of the two parent plants. 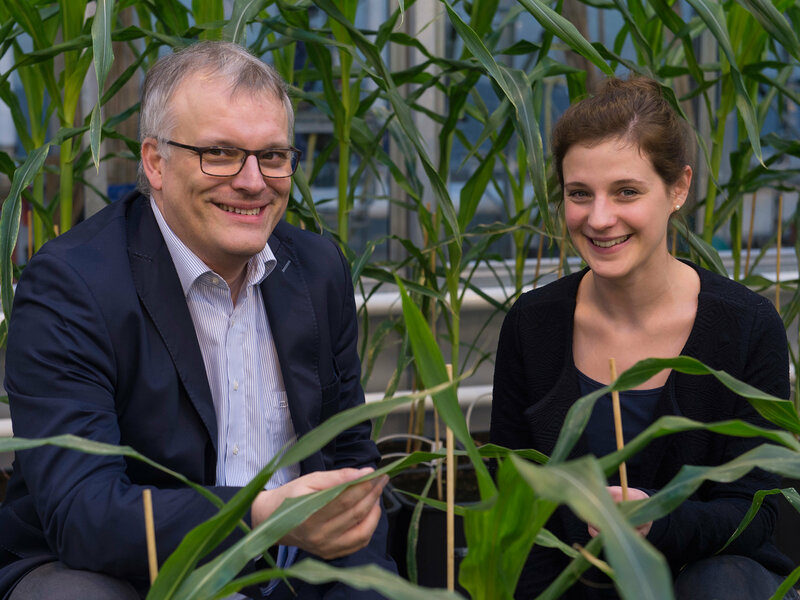 Scientists at the University of Bonn have now investigated a number of genetically distinct hybrids. They showed that the offspring had many more active genes than the original parents. These results may help in the cultivation of even higher-yielding maize varieties. They are published in the journal Current Biology. Plant breeders have long known that crossbreeding of different inbred lines has a positive effect on yield. However, the causes of this so-called "heterosis effect" are largely unclear. "For that reason, we took a closer look at one specific inbred-hybrid combination a few years ago," explains Prof. Dr. Frank Hochholdinger from the Institute of Crop Science and Resource Conservation (INRES) at the University of Bonn. "We were able to show that the hybrid offspring has many more active genes than its parents. But at that time, we did not know if this applied just to this specific combination of parent plants, or if it was a general mechanism." In the present study, the scientists therefore examined not just one, but six different inbred-hybrid combinations. The parental inbred lines were distantly related and evenly distributed throughout the entire maize phylogenetic tree. This is almost like pairing a dachshund with a sheepdog, then a pug, and finally with a labrador. "We have now analyzed which genes were transcribed in the original plants and which in the offspring," explains Jutta Baldauf from INRES. "This confirmed the findings of our earlier work: The hybrids always contained a far larger number of active genes than their parents."